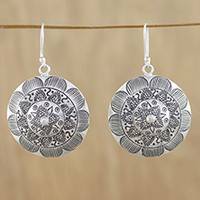 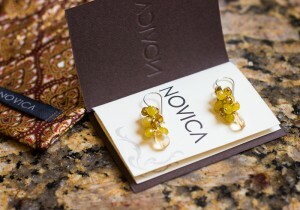 Thousands of handcrafted jewelry options from around the world await your discovery in NOVICA’s extensive collection of dangle earrings. 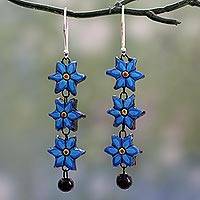 One of the earliest forms of jewelry documented in Biblical times, earrings actually bourgeoned among gentlemen during the English Renaissance. 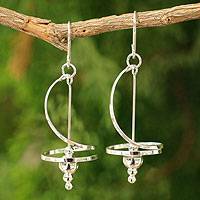 Since then, women have drastically eclipsed the incidence of men sporting earrings in the West. 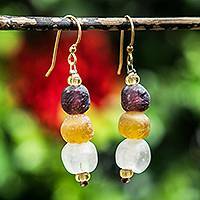 Explore NOVICA's modern selection of artisan-crafted dangle earrings for women and get lost in the extensive collection of handcrafted jewelry inspired by ancient history! 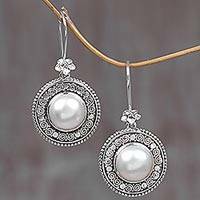 Dangle drop earrings are intended to flow from the bottom of the earlobe at various lengths, and usually hang from a hook wire. 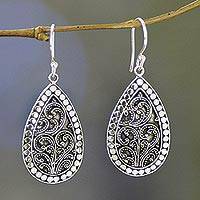 Sterling silver earrings featuring leaf motifs reflect Mother Nature's powerful influence over designers in this collection. 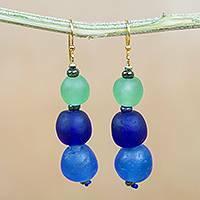 Mexican artisans Debora and Marco master Dichroic glass techniques, selecting vibrant colors to create original dangle earrings and pendant necklaces. 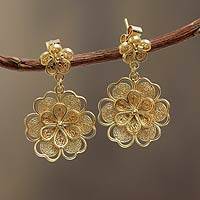 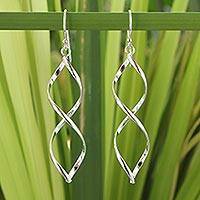 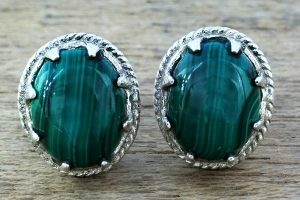 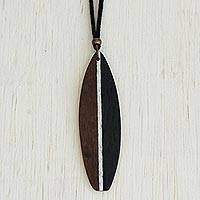 Paired as a set, they are a stunning gift for her.